Envisage are fast-gaining a reputation for designing websites that are creative and stand head and shoulders above the rest. Remarkably, our entry-level pricing results in sites that are created in mere days and look highly professional. Our new site for Temperance House is no exeption. ‘Astonishing’ is the word our client used to describe what we have created. Their new site includes, picture galleries, an availability calendar and booking form. Plus the client has a tailored screencast video guide to fully edit the conent themselves. 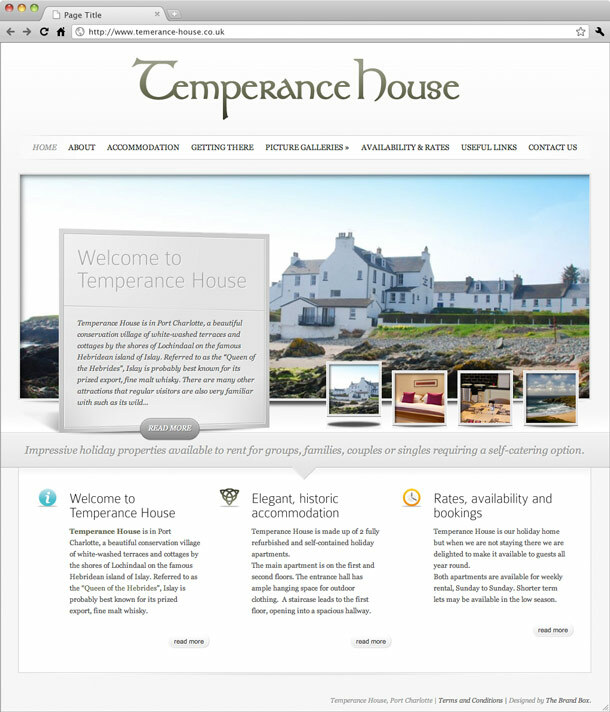 The Temperance House logo and new website were created under our unique www.theBrandBox.biz branding service.